Meet LEE. 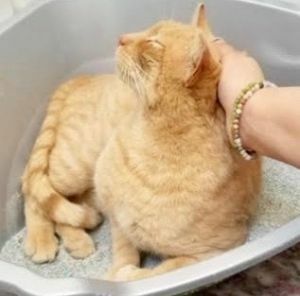 He is a 2 year old orange tabby male with the PRETTIEST lime green eyes. Lee was found wandering around Long Island and one of our volunteers took him in and found him to be Super Sweet and FRIENDLY. (Ignore the one tipped ear, as it only adds character to Lee’s HANDSOME face.) Lee loves BELLY RUBS. He is a bit shy in new surroundings, so he’ll need someone who will give him time to adjust to a new home. But it will definitely be worth it! Lee is OK with cats and small dogs. Come meet Lee! He is available for “Meet and Greets” in Long Beach, NY. He is neutered, UTD on shots, and FIV/FeLV negative.